The most discussed trends in healthcare are the current and looming staffing shortages. How big the shortage is, what can be done about it, and who will be affected are all being debated at water coolers across the country. 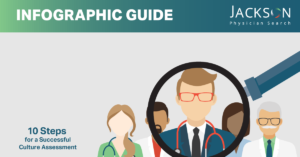 Get caught up on this hot topic by reviewing the infographic below: Physician Trends – Supply and Demand. The projected physician shortfall by 2030 is 40,800 – 104,900. Physician retirement decisions are projected to have the greatest impact on supply. If underserved populations had standard care utilization patterns, demand for physicians would rise substantially. Achieving population health goals will likely raise demand for physicians. 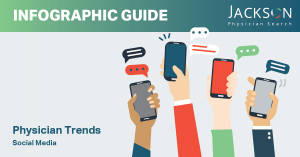 Demographic trends continue to be the primary drivers of increasing demand from 2015 to 2030. Source: The Complexities of Physician Supply and Demand 2017 Update: Projections from 2015 to 2030 IHS Markit for Association of American Medical Colleges. Primary Care physicians in rural areas are older and nearing retirement. About 20% of Americans live in rural areas with no easy access to primary care or specialist services. Only 10% of physicians practice in rural areas. If you would like more information about the current physician recruiting landscape, you can contact us. We’d be happy to answer any questions.